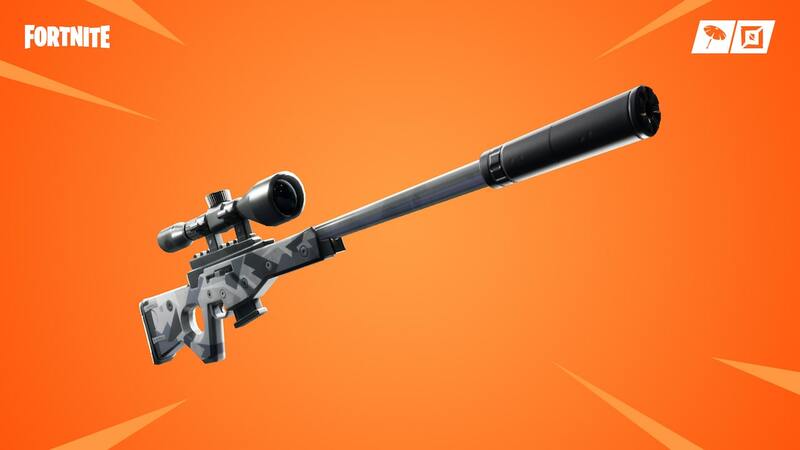 Epic Games has released a new content update for Fortnite on Nintendo Switch, changes made to the free-to-play battle royale game adding the Suppressed Sniper Rifle. This new weapon is for those that want to “trade power for stealth,” and, to be found in chests, floor loot, Vending Machines and Supply Drops, comes in Epic and Legendary variants. It deals 100/105 base damage, and, unsurprisingly, is a single-shot scoped sniper rifle. The Six Shooter has also been vaulted, as have the Uncommon, Common and Rare variants of the Burst Assault Rifle. Whereas the Dual Pistols have been unvaulted, Dynamite drop rate has been reduced by 40 percent, and the Boom Box has been nerfed – its duration now reduced from 25 seconds to 18 seconds.